Northern Galilee had all of our attention today. 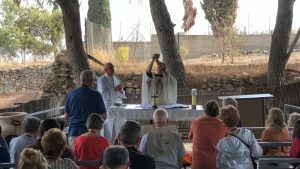 Starting out with the Mass at the Mount of Beatitudes. Always hard to get people out of there it’s such a beautiful place 🙂 Fr. Nathan‘s homily was exceptional and passionate and you can see/hear it here. Up to Caesarea Philippi were Jesus said “You Are Rock!“ I gave my 1/2 hour talk entitled “Peter: the Rock, the Keys and the Chair.” We ate a marvelous lunch at a little family restaurant up in the Golan Heights before stopping at the Syrian border to talk about the situation in the Middle East and to pray for the persecuted Christians. After visiting the church of the Multiplication of Loaves and Fish we visited the church of the Primacy of Peter E. Sabella or I Give My 1/2 Hour Talk on St. John Chapter 21. 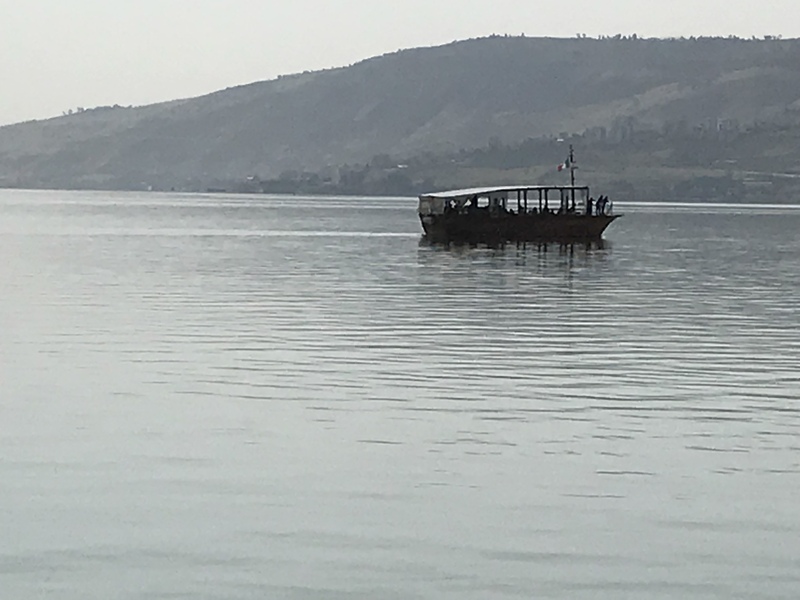 After visiting the Church of the Multiplication of Loaves and Fish we visited the Church of the Primacy of Peter where I gave my 1/2 hour talk on St. John chapter 21. Two hours of free time at the hotel on the shore of Galilee before heading for a short drive to arguably the finest restaurant in Israel where people from Tel Aviv fly in on helicopters to have dinner. It’s owned by a Christian and we love to support him and give our pilgrims the finest dining experience you can have a nice country. 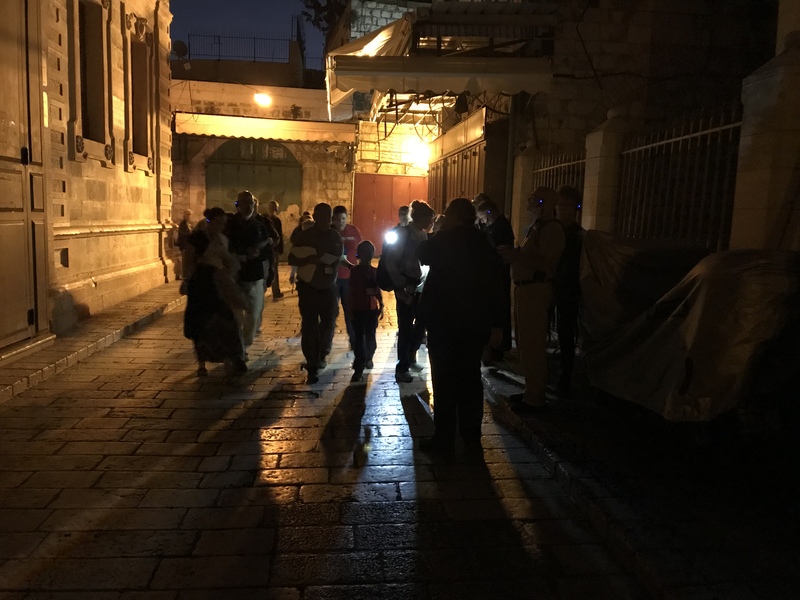 There are an unprecedented number of people in the Holy Land right now. I have never seen this many people in my 25 years of coming here and the guides and locals are saying they’ve never seen anything like it. Today in Bethlehem there were loads of groups everywhere. That came from all over the world speaking every imaginable language. It was like nine ending river of people. We started the day at our favorite Olivewood Store where we gave everybody two hours to enjoy all of the amazing items that were for sale. We helped and coach them to make wise purchases. Our purchases helped 65 Christian families. We also had the local Christians sing the Our Father in the original language of Aramaic, the language of Jesus. It was beautifully sung and brought people to tears. From there we went to Mass in Shepherds Field where the angels appeared to the Shepherds on the first Christmas Eve. Another exceptional Hamily but Fr. Nathan can be heard/seen here. Lunch at our favorite Christmas Tree Restaurant where we have three Christian brothers by bringing our business to them. Then we went to the Church of the Nativity but the crowds were so huge and the line was so long unfortunately we are unable to get down to the place where Jesus was born. It is very difficult to make people stand in line for four hours. We even arrived during the lunch hour hoping the lines would be shorter but they were just as long. An hour and a half of free time at the hotel before we all gathered to walk over to the Holy Sepulchre for the Solemn Entry where our group got a special reception by the Franciscans with organ accompaniment and we all bypassed the four hour line to go into the tomb of our Lord. Dinner and a tour of the Holy Shroud Exhibit closed out the day. Enjoy! Day 6: Gethsemane, Mt. 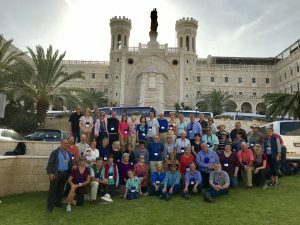 of Olives, Upper Room, Passover Lamb, DANCING, and more! Today was our very early morning. 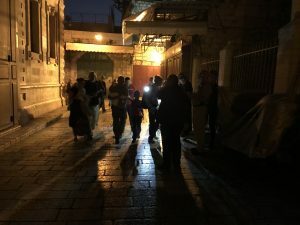 We wanted to walk the Via Dolorosa before the sun rose and arrive at Calvary with our hand held olivewood crosses. We all touched the top of Calvary and had Mass at the foot of the cross. Homily here. 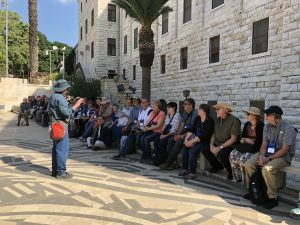 We also went to the Western Wall and then had a nice walk through the old city of Jerusalem for lunch at a favorite restaurant to help support the Catholic family. We gave everyone the rest of the afternoon off for confession, Eucharistic Adoration and time to explore Jerusalem on their own. We ended the day with a magnificent dinner on the rooftop of Jerusalem looking out over the holy city. Don’t forget to watch the second video for today which is all of the final Farewells and Comments. 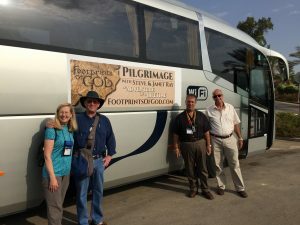 Franciscan University of Steubenville has teamed up with Steve and Janet Ray to provide Holy Land Pilgrimages. 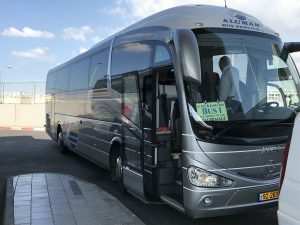 Enjoy a smaller, more intimate group size, limited to only a single bus. 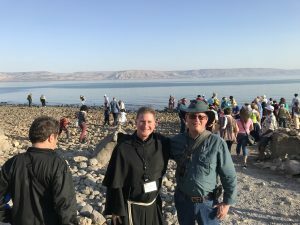 2018-11 Franciscan University Holy Land Pilgrimage from Steve Ray on Vimeo. You’ll enjoy Steve and Janet’s trusted hotels, and delicious meals including some amazing dinner experiences away from the typical hotel buffet. Wine provided with all dinners along with a wide range of cuisines to experience the Holy Land to it’s fullest. 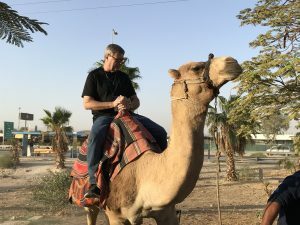 Steve personally teaches at the holy sites and shares experiences from over 130 previous trips to Israel and other biblical lands since 1995. We do everything we can to support the local Christians who only make up 1.5% of the population. Fr. Nathan Malavolti, TOR from Franciscan University will be our chaplain along the way. 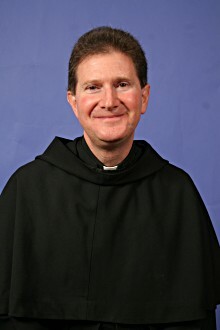 He is the Vice President of Pastoral Care & Evangelization.